FAYETTEVILLE, N.C. – Derek Makimaa has dreamed of playing professional hockey since he fell in love with the sport at three-years-old. With his signing to a spot on the Training Camp roster, Makimaa is closer than he could’ve imagined. The 6’2, 201 pound 24-year-old forward from Swartz Creek, Michigan spent his collegiate career at Salem State University, where he found his way to 71 points (36G+35A) in 98 games played while majoring in Sports Movement Science – Pre-Physical Therapy. 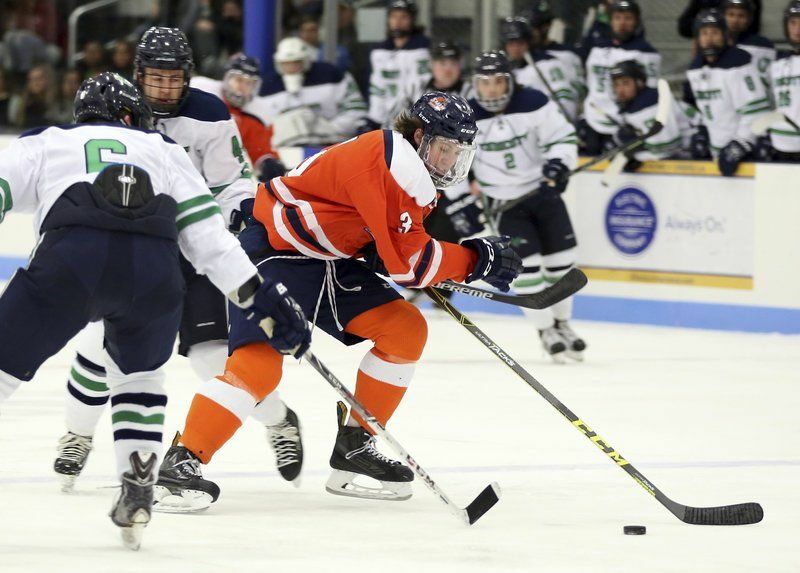 While at Salem State, Makimaa would play on the same ice as future Marksmen teammates Michael Casale (Forward) and Jason Pucciarelli (Goaltender). Previous to his NCAA career, Makimaa spent two years in the juniors, first with the Atlanta Jr. Knights (EJHL) and Bay State Breakers (USPHL Elite), where he scored 61 points (34G+27A) in 73 games. Makimaa knew from the very first phone call that Fayetteville was the team for him. In terms of play-style, Makimaa’s self-described traits may sound familiar, as they’re exactly what Head Coach Jesse Kallechy has been preaching in all his signings. Head Coach Kallechy saw Makimaa as a player that had a high-ceiling and could be an immediate impact. With 42 days remaining until the SPHL season begins, the anticipation is starting to reach a fever pitch, especially as the Marksmen Camp roster starts to finalize, and the team’s exhibition against Macon has been set for October 12. The Fayetteville Marksmen are excited to welcome Derek Makimaa to his new home for the 2018-19 season, and look forward to him being the bedrock of what promises to be an exciting season of hockey in the Cape Fear. The 2018-19 Marksmen Home Opener is October 19th against the Roanoke Rail Yard Dawgs, and Season Tickets are on sale NOW!